The 2019 Jeep Cherokee is now more handsome thanks to traditional headlights and a more conventional front bumper. The headlights now house the main Bi-LED projectors, turn signals, and LED daytime running lights all within the same clear housing. That’s a big change from the outgoing model, which separated the headlights from the turn signals and DRLs. 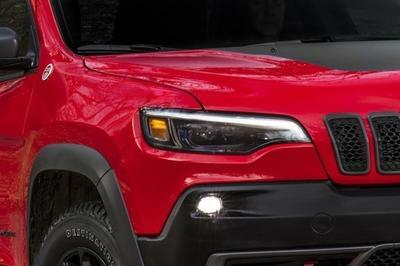 The fog lights have a larger surround, too, which helps give the Cherokee a more conventional appearance. The lower grille loses the kinked-up shape it previously had, now getting sleeker horizontal lines. Surprisingly, the Cherokee’s handsome new face includes the same upper grille as before. We always thought it was that grille that made the Cherokee so ugly, but as it turns out, it’s not so bad when surrounded by more traditional styling. The sensor for the adaptive cruise control has been repositioned and the range-topping Overland trim comes standard with chrome front tow hooks. The odd-road dedicated Trailhawk comes with a slightly more aggressive front clip with a better approach angle and gray accents shaped like the Wrangler Rubicon’s optional metal front bumper. Red tow hooks helps distinguish the Trailhawk from the other trims. 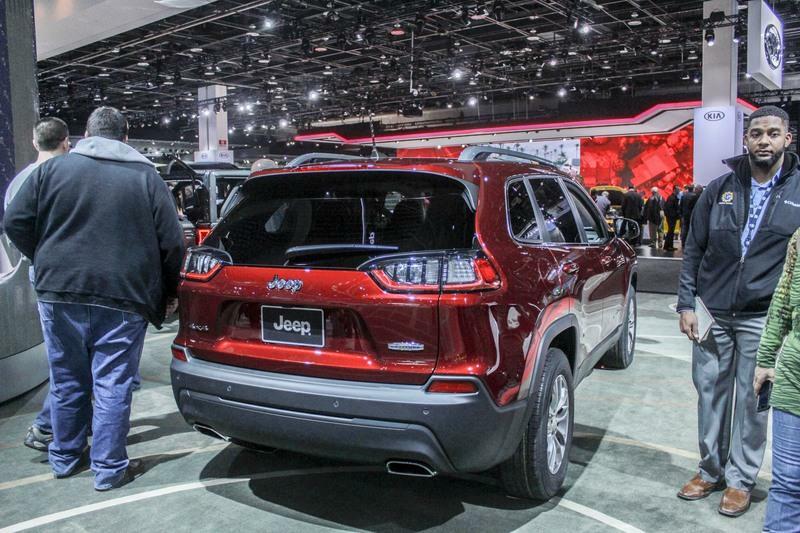 Beyond the styling, the Cherokee receives a new aluminum hood that’s lighter and more stylized. Other mild changes include a new fuel door with a capless filler neck for easier refueling. Around to the rear, the 2019 Cherokee has its license plate relocated to the tailgate. 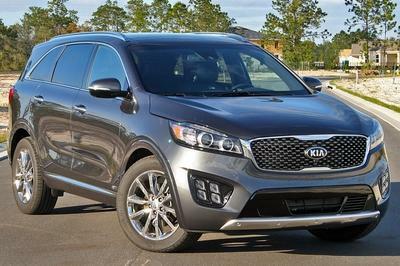 The bumper follows the more traditional styling update and uses chrome trim and different colored plastic to add character. Chrome-tipped, rectangular dual exhausts finish off the bumper’s lower line. We do wonder how Jeep will integrate the Cherokee’s optional towing package and its bulky two-inch receiver hitch. Trailhawk trims have black bumpers with gray accents that mirror the front bumper and the Wrangler Rubicon theme. It seems to have an access panel for getting to the receiver hitch. The other changes back here involve the taillights. The new LED lights have clear lenses with white-colored turn signal and reverse light reflectors. The running lights and brake lights use an LED outline along the bottom. Again, the rear matches the front’s more handsome appeal. Everything between the bumpers is unchanged, meaning the doors, roofline, windows, and their pillars are all carried over from 2014. That’s totally expected with this being a mid-cycle refresh, of course. 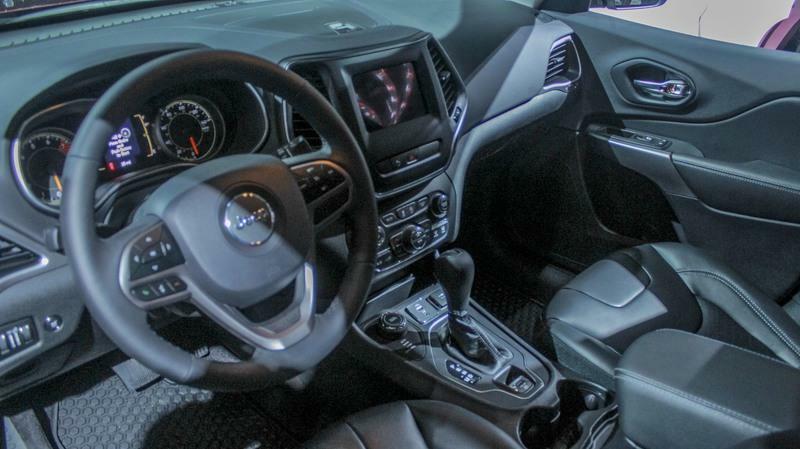 The 2019 Jeep Cherokee’s interior remains mostly unchanged from previous years, though there are some key differences. Physically, the cargo area is now three inches wider, which allows for a full set of golf clubs to fit horizontally. It also improves storage volume to 25 cubic feet behind the second row and 55 cubic feet with the 60/40-split bench folded flat. The other physical different is a slightly reworked center console. 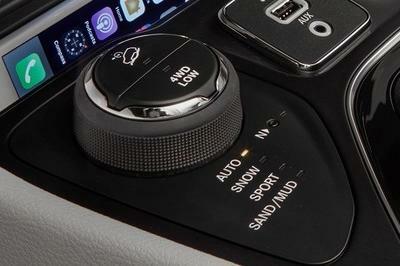 Ahead of the gearshifter, the USB and 12-volt power port have been shifted rearward to create a pocket for smartphones. Unfortunately, Jeep missed the opportunity to include a wireless charger. 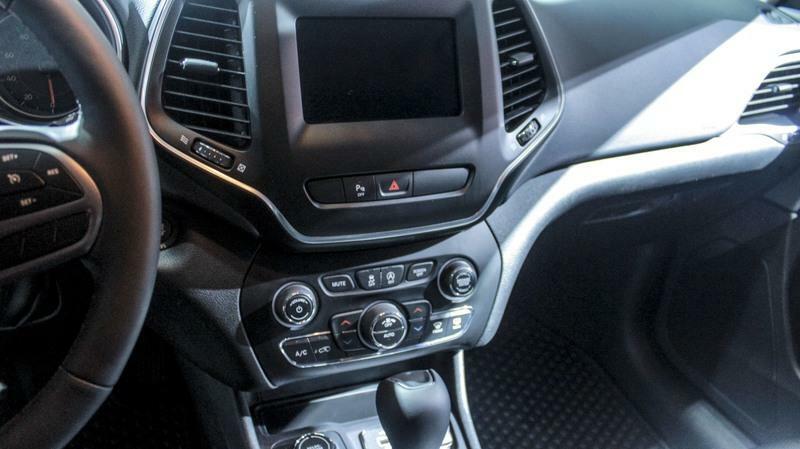 New Satin Chrome and Piano Black high-gloss accents are also new, adding a more upscale feel to the Cherokee’s cabin. 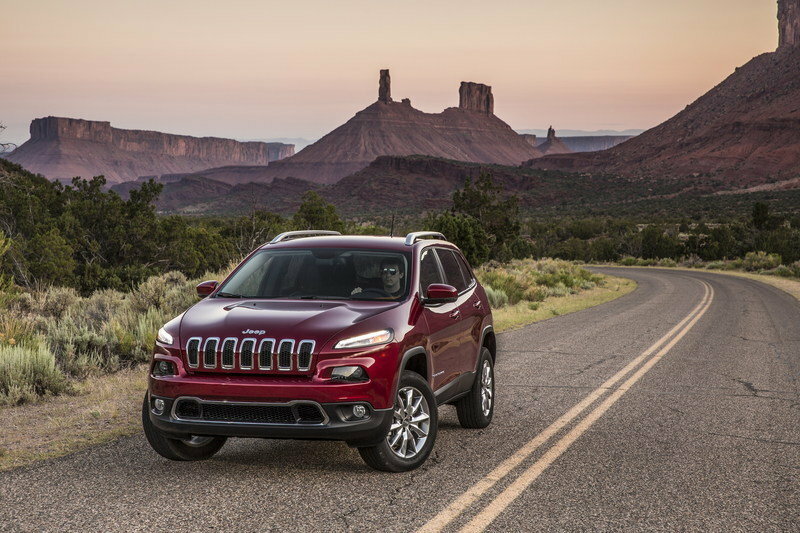 Software wise, the newest version of FCA’s Uconnect joins the 2019 Cherokee. Now in its fourth generation, Uconnect offers Apple CarPlay and Android Auto capability, along with an updated interface and faster processing. The large TFT display in the gauge cluster returns, showing plenty of vehicle information via the different menu pages. Dual-zone climate controls, available heated and vented front seats, and the dual-pane sunroof return for 2019. The Cherokee continues to seat five people, though three across in the second row isn’t overly comfortable. As mentioned, the 60/40-split rear seat folds flat to reveal 55 cubic feet of cargo room. The front passenger seat even folds flat for carrying longer items like a ladder or surfboard. The Jeep Cherokee enjoys some fairly significant powertrain updates for 2019. The 2.0-liter Hurricane turbocharged four-cylinder that debuted in the 2018 Wrangler JL makes its way into the Cherokee. Also new is a revised nine-speed automatic transmission with a recalibrated shift pattern for smoother operation. The Cherokee’s base 4WD system, Active Drive I, has been completely rebuilt to have less internal friction and reduced weight. The 2.4-liter Tigershark four-cylinder returns as the standard engine, but with a few updates. 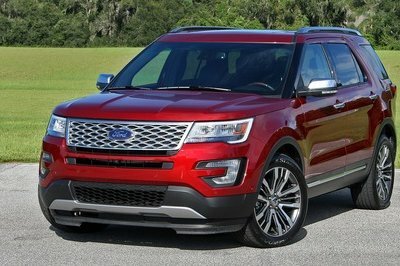 The range-topping 3.2-liter V-6 carries over unchanged. The new 2.0-liter Hurricane turbo-four is one of the newest and most technologically advanced engines on the market. It uses a twin-scroll turbocharger with an electronic waste gate, direct fuel injection, dual overhead cams with independent variable timing, and a cooled EGR system for lower intake temperatures. The engine produces a respectable 270 horsepower and 295 pound-feet of torque. Part of the 2.0-liter turbo-four’s magic is its mild hybrid system. 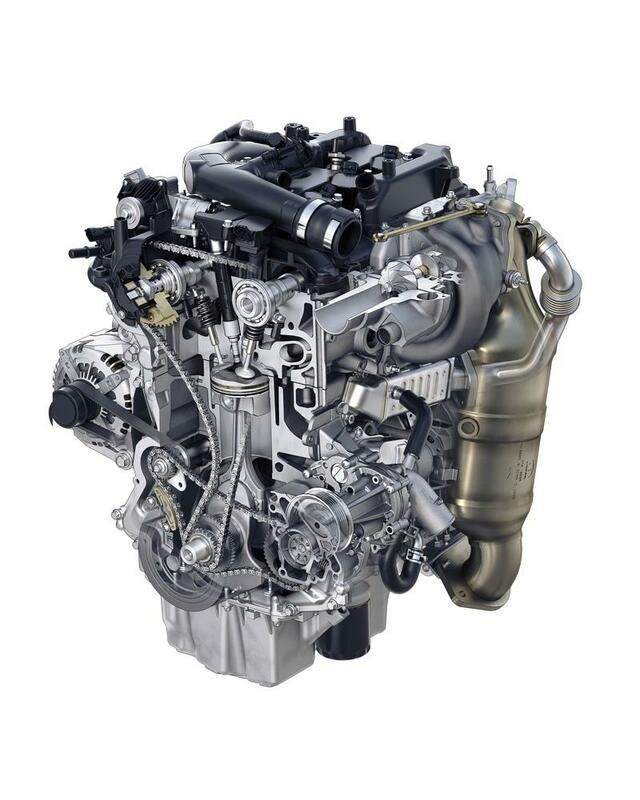 The engine uses a belt starter generator to not only restart the engine after an Automatic Stop/Start event, but also to add torque to the crankshaft at lower engine speeds. That’s how the engine manages its impressive torque figure. The 2.4-liter Tigershark four-cylinder returns for 2019 with a few changes. First, it has an engine oil heater that decreased the warm-up time. Second, a new air intake reduces noise, vibration, and harshness for a quieter driving experience in the cab. Horsepower is rated at 180 and torque comes in at 170 pound-feet. The 3.2-liter V-6 returns unchanged for 2019 and is basically a smaller-displacement version of the 3.6-liter V-6. The 3.2-liter makes 271 horsepower at 6,500 rpm and 239 pound-feet of torque at 4,400 rpm. 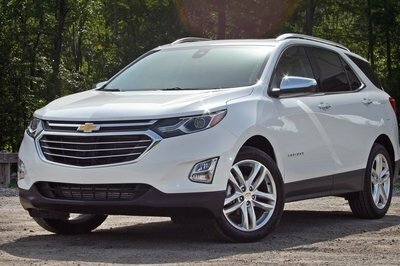 While its power levels are similar to the new 2.0-liter, the V-6 offers better towing at 4,000 pounds. Jeep did not release fuel economy numbers, but we expect the new 2.0-liter Hurricane to be the leader. The 2018 Cherokee with the 3.2-liter V-6 was rated at 18 mpg city and 26 mpg highway. The 2019 Cherokee’s updates continue onto the optional 4WD systems: Active Drive I, Active Drive II, and Active Drive Lock. The 2019 Cherokee’s updates continue onto the optional 4WD systems. There are three available: Active Drive I, Active Drive II, and Active Drive Lock. The change takes place in Active Drive I, the base system available in the Latitude, Latitude Plus, Limited, and Overland trims. Jeep reduced the 4WD system’s weight by 17 pounds and its internal drag by an impressive 50 percent in low-speed conditions. Like before, the system continues to use an active rear differential that disengages itself when traction isn’t an issue. When placed in Auto mode, Active Drive I will send power to the front wheels during normal driving, but send power rearward the second wheel slip is detected. The rear differential, officially called the Rear Drive Module, also has torque vectoring. This helps point the Jeep into a corner by actively supplying more power to the outside wheel. 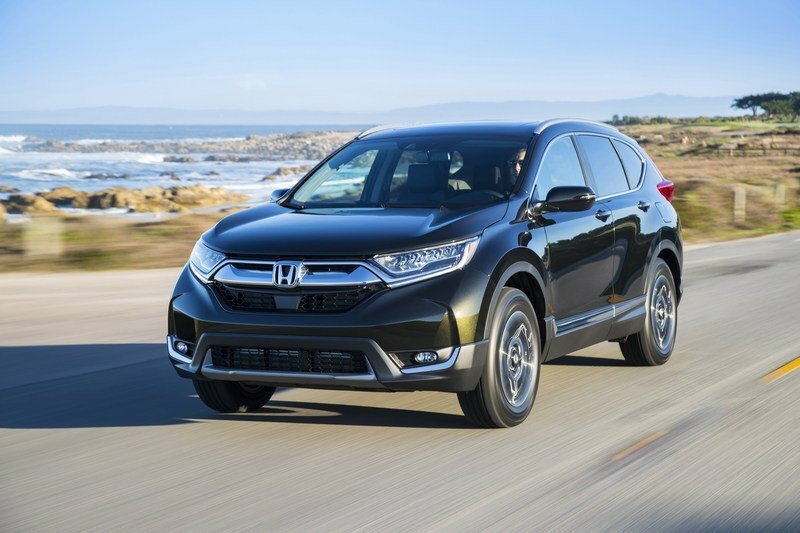 Active Drive II returns unchanged for 2019. 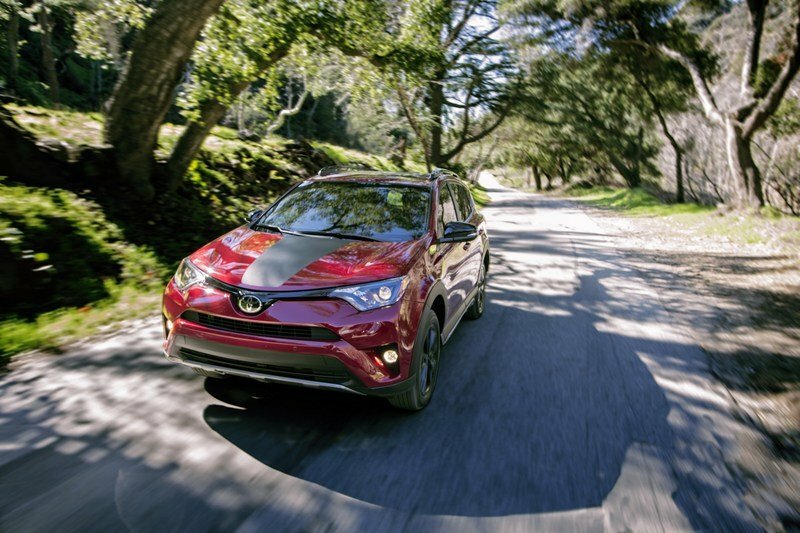 It works the same way Active Drive I does, but includes low-range gears for more serious off-roading. 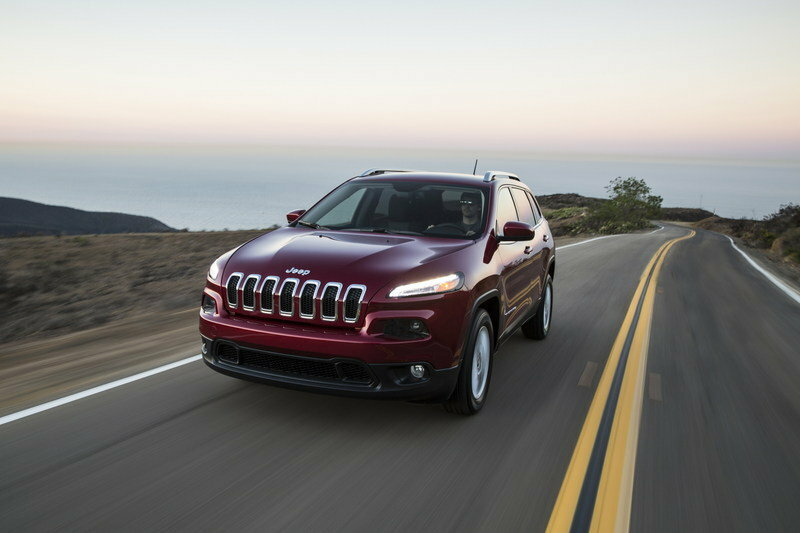 The Cherokee Trailhawk comes exclusively with Active Drive Low. 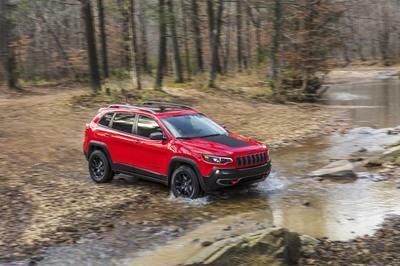 It’s basically the same as Active Drive II, but includes a locking rear differential and Rock Mode within the Cherokee’s Selec-Terrain traction control system. All 4WD Cherokees come with Selec-Terrain. Drive modes include Auto, Snow, Sport, Sand/Mud, and on the Trailhawk, Rock Mode. Jeep hasn’t announced pricing for the 2019 Cherokee, though we won’t have long to wait. Jeep says the new model will begin hitting showrooms in the first quarter of 2018. Prices shouldn’t change too much over the current Cherokee, either. Pricing for 2018 starts at $24,395 for the base Latitude trim in front-wheel drive. Selecting 4WD moves the price to $25,895. 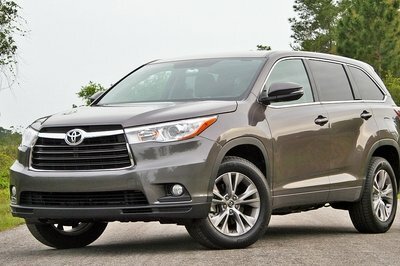 That $1,500 price for 4WD continues through the lineup except for two models. The Trailhawk comes standard with 4WD and the range-topping Overland model, which somehow charges $3,245 for the 4WD option. Back to the trims, the Latitude Plus slots in the mid range with the Limited above that. The Trailhawk comes in next with the Overland taking the top spot. Prices for the Overland start at $34,095 for the FWD models and $37,340 with 4WD. 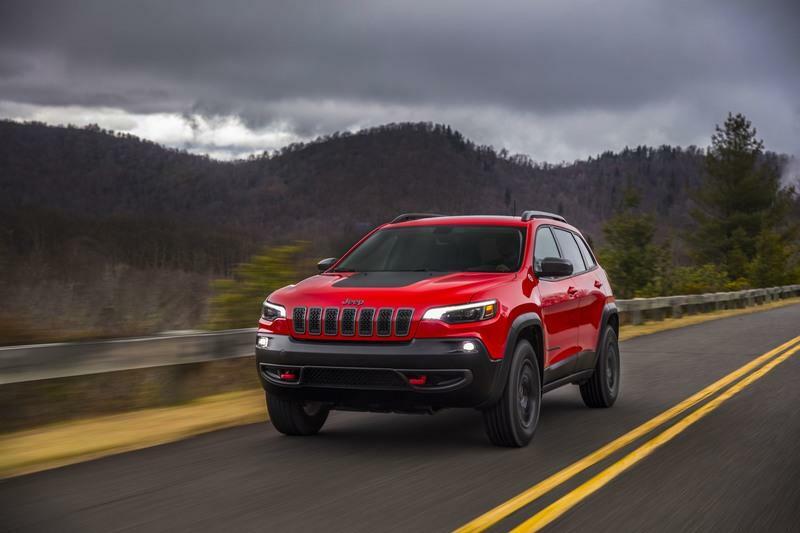 The changes for the 2019 Jeep Cherokee aren’t major, but they are very welcomed and should help to increase the crossover’s popularity. 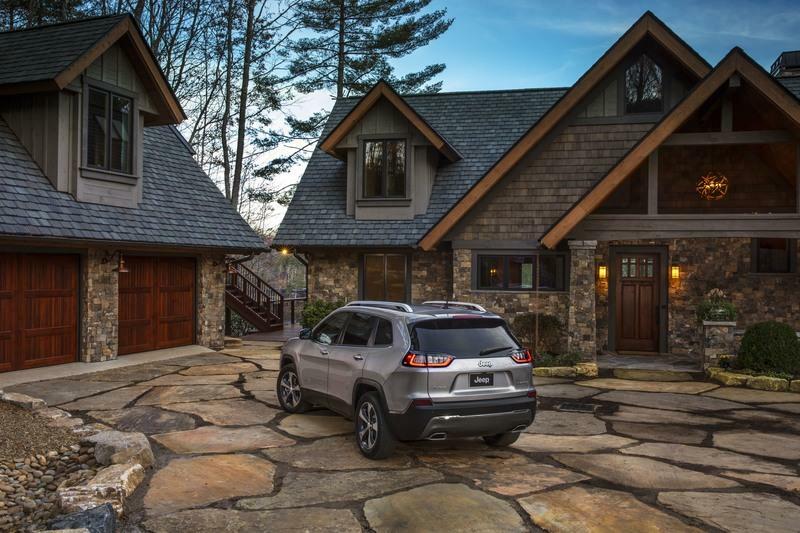 The exterior changes, especially, give the 2019 Cherokee a more modern and mature appearance. The extensive powertrain upgrades also make the 2019 Cherokee more attractive. The new 2.0-liter Hurricane combined with the revised nine-speed automatic and enhanced Active Drive I should make for a compelling combination.